The Section 8 program, which administers federal money, isn’t doing enough to prevent fraud and recruit landlords, a city audit found. A federal program administered by Honolulu to subsidize rents for low-income people has $1.55 million in delinquent accounts but doesn’t have a debt collector, according to a city audit released this week. The audit found that while the program meets federal requirements, not enough is being done to prevent fraud and recruit landlords. And even though the subsidy is touted as a way to reduce homelessness, the city doesn’t have data showing that’s actually happening. The Housing Choice Voucher Program, known as Section 8, is a federal rent subsidy program administered by various states and municipalities. Honolulu’s Section 8 program is run by the Department of Community Services. Gary Nakata, director of the Honolulu Department of Community Services, is in charge of the Section 8 program. Even though the program has $1.55 million in delinquent accounts, it doesn’t have a debt collector, use a collection agency or write off the debt, which is expected to increase. The city doesn’t have a fraud detection system for the Section 8 program and has paid hundreds of thousands of dollars to people who actually owed the city money. Over the past seven years, the number of landlords participating in the program has declined by 8.5 percent even though the demand for low-income housing is still strong. 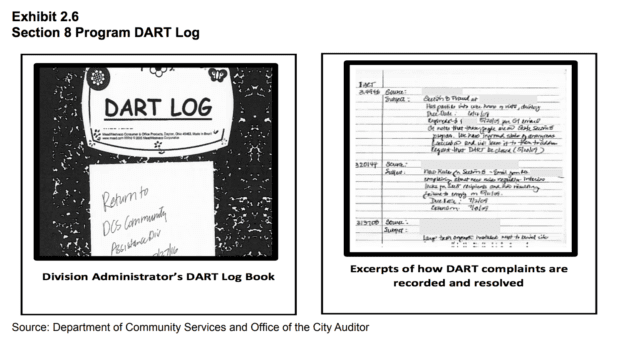 The city doesn’t have a formal electronic system to track complaints. Data isn’t always maintained or readily accessible, making it tough to tell whether the program is effective in reducing homelessness. 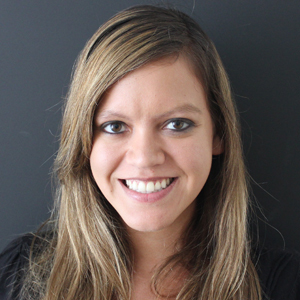 Charisma Fojas, who helped conduct the audit over the course of about six months, said that she thought the lack of debt collection was the biggest problem. Tenants who receive Section 8 vouchers are supposed to pay 30 percent of their income toward rent, with the program picking up the rest. But if the tenants don’t pay their share, the program pays that as well. “The total amount of delinquent accounts receivable continues to grow annually, and the city is not collecting potential program revenues,” the audit concluded. Fojas and other auditors found that over the past seven years, the city paid more than $614,000 in rent subsidies for 36 tenants who already owed money to the Section 8 program. “In our opinion, the lack of a formal fraud investigation program and lack of fraud investigators allowed participants who owed funds due to fraud recoveries and unqualified participants to remain on the program,” the audit says. Honolulu records complaints about the Section 8 program manually in this composition notebook. The audit also found that the city is doing a bad job of reaching out to landlords, resulting in fewer landlords participating in the program compared to seven years ago. Honolulu doesn’t use social media to reach out to landlords, as do many other cities. And there’s not much information for landlords on the city’s website compared to similar websites in other places. In one instance, the city held an informational briefing for landlords but only advertised it by putting up a flier outside of DCS offices. Only one person showed up, and that person wasn’t even interested in the city’s program. The audit found that the city doesn’t know exactly how many landlords are in the program. That’s part of a broader problem where the city keeps track of some data manually and doesn’t maintain good records. In order to figure out what complaints have been filed about the program, Fojas had to leaf through composition notepads. The city maintains lots of information related to the Section 8 program in hard copy, which makes it difficult to analyze. The audit staff couldn’t determine whether the Section 8 program is actually decreasing homelessness because of this lack of data. Auditors sampled records of 31 applicants who fell under the program’s preference for homeless people, but found that only 16 percent had documentation showing they had been homeless. Edwin Young, the city auditor, said the audit’s release was scheduled for May but delayed because it took the Department of Community Services two months to provide a response. “They think they’re doing a great job and our attempts to try to improve their operations met with fierce resistance for over two months,” Young said. Civil Beat requested an interview with department officials who run the Section 8 program Wednesday. Instead, a spokesman for Mayor Kirk Caldwell emailed a written statement that he said should be attributed to Gary Nakata, the department head. 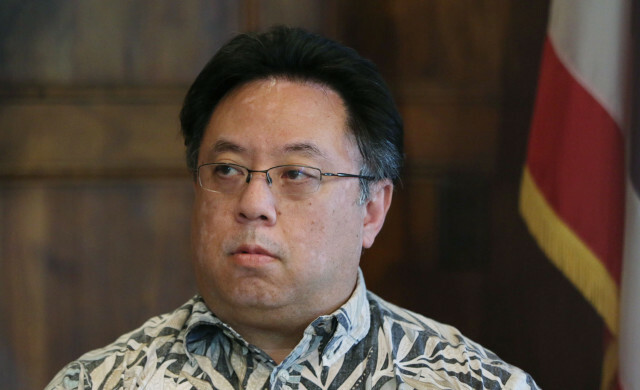 “The Department of Community Services is reviewing the Auditor’s recommended measures and looks forward to working with the Auditor’s Office on successful implementation,” Nakata’s statement said. Last fall, Nakata’s department was lambasted by the U.S. Department of Housing and Urban Development’s Office of the Inspector General. The Washington-based office published an audit criticizing the city’s administration of nearly $16 million in federal grant money. The city has since had to pay back $1.45 million. Click here to read the city audit summary and the full audit.